!! OMG, quote of the day: Rob McElhenney cheekily explains how he got ripped for ‘It’s Always Sunny Season 13’ !! – It’s Always Sunny actor Rob McElhenney, who had previously gained 50 pounds for “Fat Mac” to make fun of how the actors in other shows usually get better and better looking as the show goes on and becomes more successful. 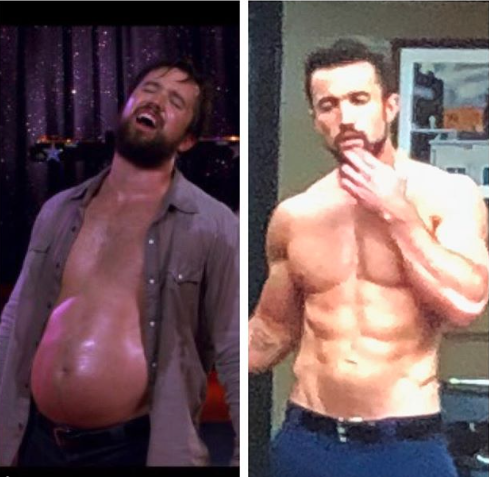 3 Comments on "OMG, quote of the day: Rob McElhenney cheekily explains how he got ripped for ‘It’s Always Sunny Season 13’"
I liked him fat and I like him fit. Someday it will be inappropriate to lie publicly about how you achieved this form. Until then, f.u.,Rob McElhenney, for lying. They got Glenn naked. Charlie had a blocked naked scene. Time for Rob’s turn.